When creating the perfect family bathroom, getting the design right can be a tricky balancing act! The layout should be both practical and stylish and must incorporate all necessary safety features for your children. This can be easily achieved by making creative use of space and buying suitable plumbing and heating products for the bathroom. By following these simple tips and tricks, you can rest easy knowing that your children can fully relax and unwind in a safe and stylish environment! 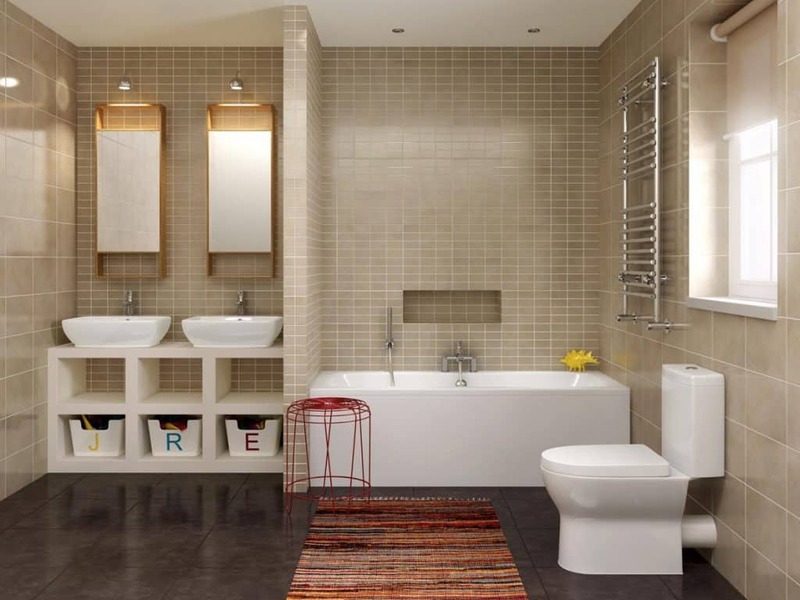 When designing the layout of your family bathroom, ‘keep it simple’ should be your new mantra. Avoid cramming too much in and prioritise what fixtures you need. Where space is tight, opt for an over-bath shower that delivers the best of both worlds. These provide a versatile washing experience for all the family and cost less to install than a separate bath and shower enclosure. Alternatively, free standing bathtubs are a brilliant choice for small or awkwardly shaped bathrooms. They offer a generous amount of bathing room and let space flow around them for a visually lighter feel. When choosing your bathroom fixtures, remember to work in wall-hung units too. A ‘floating’ basin or toilet will maximise the floor space available and makes cleaning a breeze! You can even use the area underneath to store toys and towels in wicker baskets. Young children are extremely curious, so make sure you hide your bathroom essentials in suitable storage to ensure home safety. All too often, children will reach up for hairsprays, medicines and razors that are left on the bathroom work surface or windowsill. To prevent any nasty accidents, hide your lotions and potions in a wall-hung cabinet or bathroom vanity unit. Not only do vanity units look fantastic, but they double the storage space available and come in a range of sizes to fit even the tightest of spaces. Some models even comprise of slim-line basins and compact WCs for a cloakroom setting. If you are storing bleach and cleaning products, make sure to secure child locks onto the drawers and doors. You can’t always rely on safety caps on bottled liquids! Thermostatic showers are the safest shower choice for small children. Unlike regular showers, they provide temperature stability to prevent the risk of scalding despite changes in cold water supply. 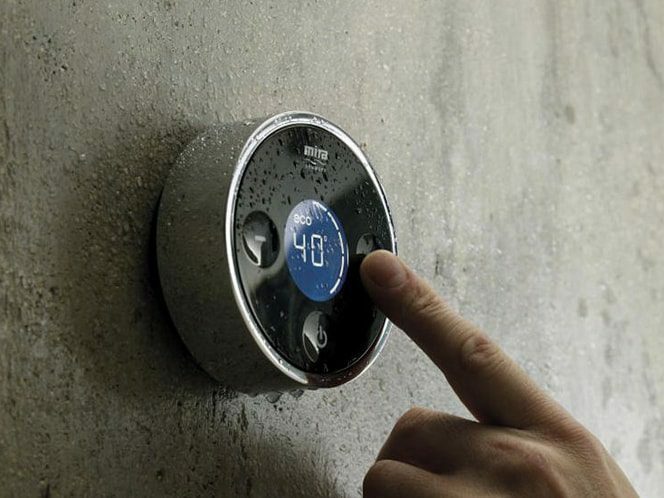 For ultimate luxury and safety, digital showers from Mira or Aqualisa are the best choice for family environments and offer precise temperature control to within a degree. A sleek LCD screen wireless controller replaces the traditional mixer bar, and you can use it to set the perfect temperature, programme the water flow and warm up the water at the touch of a button. Smart showers also maximise parental control; allowing you to set a timer on your child’s shower so they don’t rack up the water bill! Premium models will even run your child the perfect bath if you programme the desired depth and temperature. It is important to create a safe space for your children during bath and toilet time. To prevent any unnecessary accidents, install temperature regulators on the taps and always opt for soft-close toilet seats to protect those little hands and fingers! If you have a towel rail or bathroom radiator, you can also prevent scalding by using a radiator thermostat. These are relatively cheap to buy and keep the radiator surface temperature at a luke-warm level. Splooshes and splashes are also inevitable, so bath mats, bath strips and grip rails are handy to help stop any slips and trips. The floor always tends to get wet after bath time, so a large slip-proof bathroom rug will absorb any water and add a touch of luxury. If you have a bigger budget, vinyl flooring is ideal for young children and offers unbeatable grip underfoot. Avoid a tight shower enclosure in a family bathroom. If you are creating your bathroom from scratch, it is far better to opt for a wet room style set-up or an open plan layout. A new wet room shower allows for greater washing space and eliminates trip hazards for children. Simply coat the floor area in a non-slip coating and your family can simply ‘walk in’ and wash away the strains of the day. A single glass shower screen can be used to divide the shower area from the rest of the room, and a recessed floor-level shower tray can be chosen in a colour that blends well with the floor tiles. Ventilation is key, so install a good extractor fan to reduce the build-up of moisture. There you have it…the perfect family bathroom in 5 easy steps! 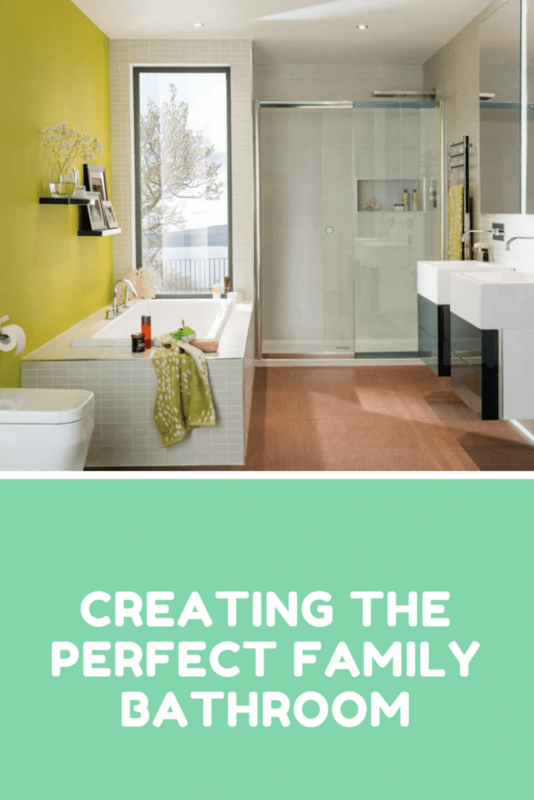 There you have it…the perfect family bathroom in 5 simple steps! Are you thinking about giving your bathroom a new lease of life? What do you think of these tips? Do leave a comment below. Hi, I am somewhat of a newbie to internet marketing and blogging. So with that being said, I am very glad that I found this blog post. I’ve heard talk of “Creating the perfect family bathroom” but never really knew what it was all about, however, I can say that I understand a lot better now. I plan to stay connected to your blog. Can’t wait to see what you’re going to write next. Thanks. I really enjoy reading on your page. Thanks for sharing my friend and I love the design of your family bathroom.